Would you like to make a life while you’re making a living? Are you tired of working day in and day out, in a job you’re not passionate about, yet can’t afford to quit? Tired of putting your dreams on hold while you spend more of your time and energy at your job than anywhere else? Are you tired of missing important events because your job doesn’t have any flex time or you don’t have enough vacation time to do those important things you really want to do? I used to feel that way too. I felt frustrated that I’d work hard and still barely have enough money to get by on. And frustrated that I had dreams and passions that I never had time or energy for at the end of the day. Frustrated, too, that I was building someone else’s dreams instead of my own. But then life took an unexpected turn. I got cancer. The treatment that saved me also made me very sick for a season. There’s just something about not knowing if you are going to live or die that makes you wonder about the course of your life, you know? I thought about the things that filled my life and how busy I had been trying to make it all work. Suddenly, with endless hours of nothingness stretching out in front of me, I thought about my life and my possible death. And decided I needed a change. 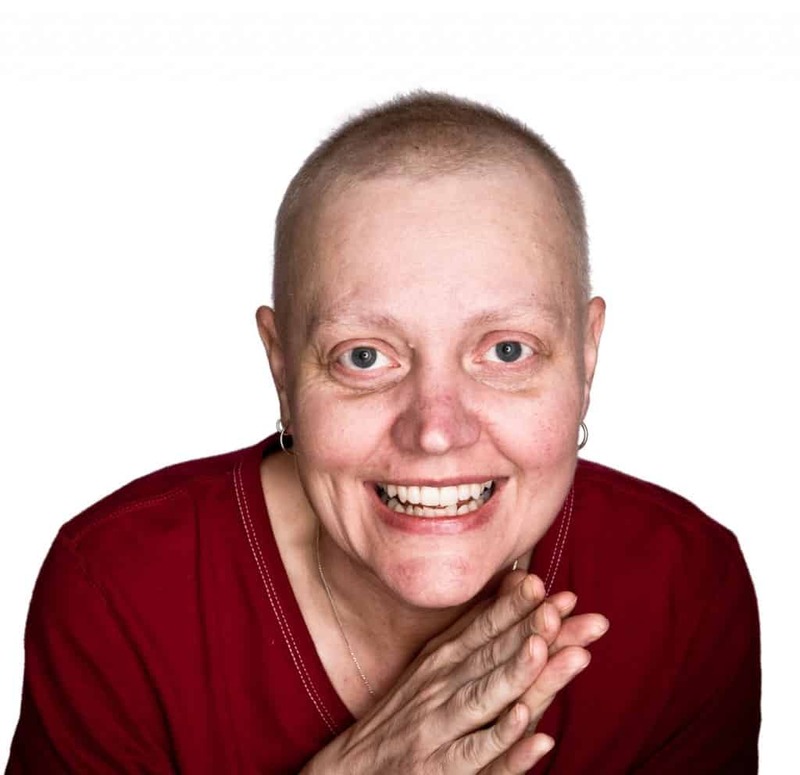 One of those changes was diving way deeper into healthy, natural living. 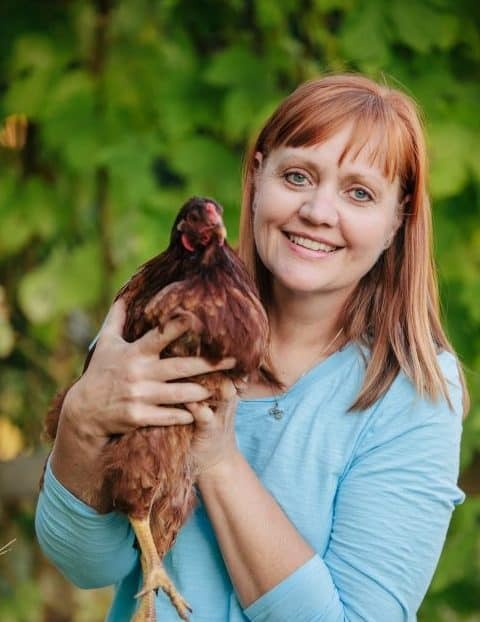 I bought my first chicks for a backyard flock, started organic gardens, and cleaned up my act. That was a good start. Then, a friend introduced me to doTERRA essential oils. I’d never heard of essential oils before, so I was super skeptical. Once I started using them, I realized they’re good for so many things. They help support my body in healthy ways. They help me clean the house in non-toxic ways. I can cook with them. They help me garden in non-toxic ways. They help me with non-toxic solutions for my hens. One little bottle of oil is good for every area of my life. I couldn’t keep quite about those little miracle oils. I started sharing them with people I came in contact with that had problems I thought the oils could solve. And I started making money! (This was NOT my plan, and I wasn’t doing it for a business or for money. I was just excited about them!) It was then that I knew I had the missing piece of the puzzle of my life. Healthy non-toxic living, growing some of my own organic food, and making an income from some amazing little bottles of oil with a company that is outstanding. There are so very many reasons why this company is the best in the industry to work with. People turn to doTERRA because they want an essential oil they can trust (without having to worry about chemicals or contaminates). People turn to doTERRA because they’re tired of ‘solutions’ to their problems that either don’t work, or have a ton of toxins or side affects. People turn to doTERRA because of the company’s commitment to making a difference in the world, not just making a profit. They source the best, purest essential oils on the market. doTERRA is the only Certified Pure Therapeutic Grade essential oil company out there. They source their oils from all over the world, but work with the farmers to ensure they’re growing the best, purest crop possible. An outside firm runs each batch of oil through 7 different tests to ensure it’s purity. I know that every bottle of oil I get is really beyond organic. It’s 100% essential oil. No additives, nothing to water it down, no chemicals, and it’s been distilled in a way that allows the natural therapeutic properties of the oils to stay intact. In fact, they’re so confident in the purity of their product, you can even read the testing reports for each and every bottle (it will have a batch number on the bottle and you can look up and read the report). They operate with a sustainable work ethic. What good is a pure essential oil source if it’s not going to be around in 5 years? doTERRA is committed to working with farmers to grow, harvest and distill their crops in a way that’s good for the environment and everyone else. They also source some of their plant materials by partnering with other companies to help reduce waste. They’re also concerned about the environment and won’t source an oil if they can’t do it in a sustainable way. They’re concerned with more than just the bottom line. They’re concerned about our planet and all of us in it. doTERRA believes in the importance of ‘giving back’. This foundational principle is woven throughout the entire company. You can see it in how they share information and ideas with everyone. How they compensate their team members. How they relate to the impoverished areas where they do business all over the world. Even the company trips have work days built into them so that they can leave the place they visited better than when they came. They are also committed to the farmers they work with, giving them fair wages in payments throughout the year (not just at harvest time) and paying them even if the crop fails. 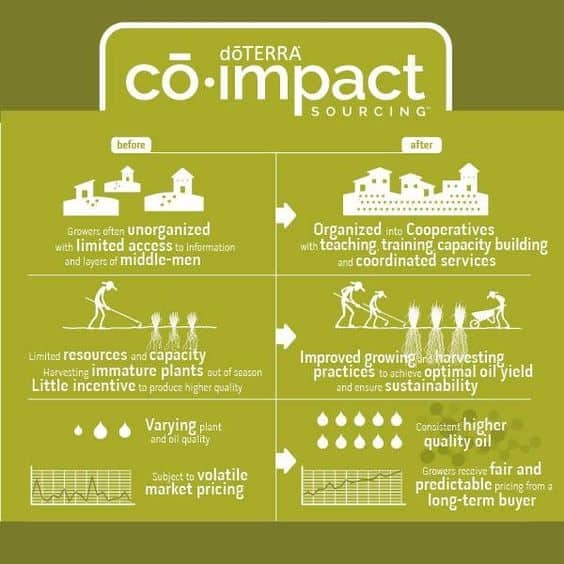 This helps ensure a viable livelihood to the farmers and communities where doTERRA. They support education and research. doTERRA is passionate about bringing Western and Eastern medicine together into a partnership. Because of that, they have a medical board of advisers as well as allocate a large portion of their profits back into clinical research. They’ve partnered with over 10 hospitals and research facilities to study and test essential oils thoroughly. doTERRA is also a firm believer in education. For those wanting to know more about essential oils, what they are, how to use them, they’ve got tons of resources. They also have a lot of education and support on how to best run a doTERRA business (for those interesting in doing so). doTERRA offers a generous compensation plan (for those interested in the business aspect). Do you have to work? Yes. Is there potential for unlimited income? Yes. Is there team support? Yes. They give you all the tools you need to succeed and then, when you do, they generously compensate you. How’s that for a win/win? doTERRA is a perfect fit for folks who believe in natural, non-toxic solutions to their health, home and animals. It’s a perfect solution for people who like working for upstanding companies. And it’s a perfect solution for folks who want to work on their own schedule and not be chained to the schedule of someone else. Does this sound good to you? If so, would you like more information about what joining doTERRA really means? There are three different levels of membership in doTERRA. They range from being an occasional customer (with no minimums required) to being a serious business builder (with no income limitations) or anywhere in between. doTERRA can fit into your life in the way you need it to. No pressure. Are you ready to jump in with both feet? What could be better than saving 25-55% (or more) on Certified Pure Therapeutic Grade essential oils AND!!! Making a living helping others? It’s like winning the lottery. Only better!! If that’s you, there’s a simple two step process. First, sign up as a Wellness Advocate here (Make sure to select WELLNESS ADVOCATE, not Wholesale Customer–this gives you a wholesale account and allows you to make money). Second, please fill out the application in the link below. I’d love you to join my team and build a thriving business of your own (Don’t worry, you can live pretty much anywhere…all over the USA as well as many countries–my team is spread out far and wide). Someone from my team will get back to you shortly and answer any and all of your questions. Maybe you want to buy these incredible oils at wholesale, but aren’t ready to jump into the biz side of things? That’s okay too! We will NEVER EVER put any pressure on you to run a business if that’s not what you’re wanting to do. Click the link below to get started with a wholesale account with ZERO pressure. There’s room for everyone. WIN/WIN!